U.S. Route 66 (US 66 or Route 66), also known as the Will Rogers Highway and colloquially known as the Main Street of America or the Mother Road, was one of the original highways within the U.S. Highway System. US 66 was established on November 11, 1926, with road signs erected the following year. The highway, which became one of the most famous roads in America, originally ran from Chicago, Illinois, through Missouri, Kansas, Oklahoma, Texas, New Mexico, and Arizona before ending at Santa Monica, California, covering a total of 2,448 miles (3,940 km). It was recognized in popular culture by both the hit song “(Get Your Kicks on) Route 66” and the Route 66 television show in the 1960s. 1828 Central Ave SW. Original site of the Spanish Methodist Episcopal Church before it moved to a new building on Gold and 6th (now demolished). Central Transmission Service operated here from 1960. By 1968 it housed a short lived business called La Fiesta Recreation. 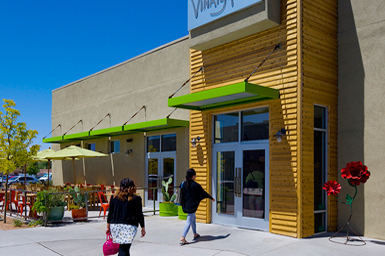 Now home of Vinaigrette Restaurant the building has been completely renovated and restored to pristine condition. 1720 Central Ave SW. Historical archives show this was the location for the Blumenshine Dairy (tel. 663) from 1912 onwards. Imagine a herd of “tuberculin tested cows” in this section of Central Ave today! Starting in 1938, brothers, Calvin and Hosier Horn opened twenty-eight service-stations in the area. The zenith of which was a one time expansion into the auto court model complex which consisted of service station, coffee shop, and motel. The Horn Oil Co. and Horn Motor Lodge was built in 1946 and the Motor Lodge section was demolished in 2006 but the original Horn Oil buildings remain today and house the Modern General, The Feel Good, Stay True Barbershop and Ripe, Inc. Design & Branding. 1710 Central Ave SW. Purpose built in 1942 by R.A. Hoover and Dell Johnson as H & J Wheel Alignment. 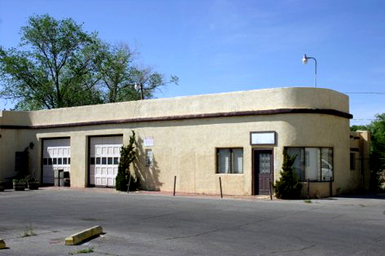 Purchased by Mr. Sam Martinez in 1950 and re-opened as Central Paint & Body Shop. The business thrived in this location for 54 years and was handed down from father to son, David, in 1975. 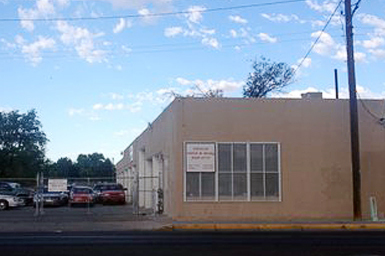 David Martinez relocated Central Paint & Body in 2014 to its current site at 1400 4th St NW. 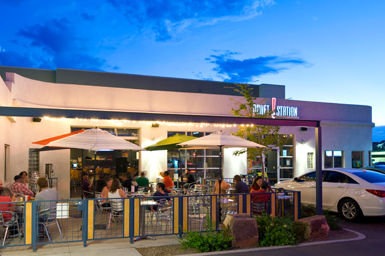 This building, now completely restored, once housed 5 Star Burgers and is currently home to Sandi’s Smiles, D-Tail Hair Studio and Elevated Management Group. 1816 Central Ave SW. 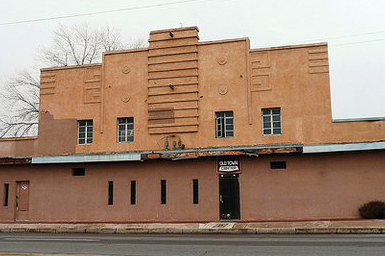 Built in 1946 as the Sandia Theater, owned and operated by Marlin Butler. 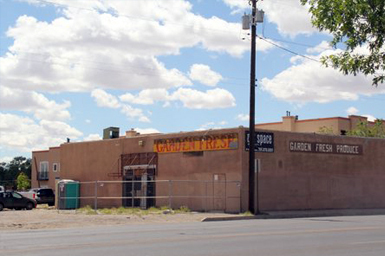 Purchased in 1952 (along with the El Rey Theater) by Albuquerque Exhibitors Inc. to host Spanish language films which were in demand with the local community. The theater closed in 1956 due to increased television usage and downtown population shifts to the north east heights. 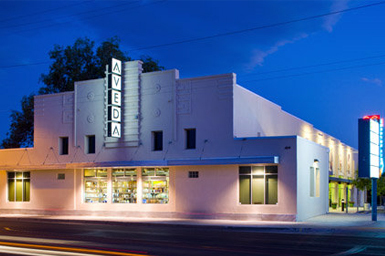 In later years it was occupied by Ammco Transmissions and Kelley’s Automotive and then sat vacant for years until the property was purchased, abated, de-contaminated, restored and repurposed for the Aveda Institute.